He puts the eager youngsters through their paces in an atmosphere striking in its calm, its purpose and its discipline. His instructions are clear and quickly understood. The more sophisticated tactical ideas are communicated with clarity. In short, he is a man who appears entirely comfortable facilitating training. It augurs well for when he takes charge of the England squad for the first time this week. Given the way they behaved during the World Cup, it is not a bad idea to know how to handle a bunch of schoolboys. “Actually, I wouldn’t want people to think I’d treat elite players like kids,” Lancaster says. “But I guess whether it’s under-11s or England the principles are the same. “That’s the same with these under-11s,” he says. “You have to establish guidelines. I’ll give you an example: when the kids have water it is a non-negotiable rule that they put the drinks bottle back in the rack rather than just chuck them on the ground. Lancaster says that what worried him most about the RFU inquiry into the World Cup was the unattributed observation from a player that there was a fashion in the squad of not trying too hard at training. “I’ll tell you this,” he says. “If anyone thinks it’s not cool to try, they won’t be playing for England under me. The most powerful tool I have is selection. “Players can try and hide what they think for a while, but ultimately you’ll see it in their actions. Those that want to be the best will be on the journey. Those that don’t won’t. For me, building an inclusive, positive, and challenging team culture is the foundation of a successful team. And when I say ‘successful’, I don’t even mean winning, because results are largely out of our control. ‘Success’ refers to achieving, and where possible, exceeding realistic but challenging goals we set for ourselves as coaches and players, both for the team and individually. ‘Character’ is the essential component, I feel, to achieve success. More than just having the proper spirit to embrace being part of a team, both players and coaches need to recognise the difference between arrogance and confidence, to show respect for each other and opponents, to show determination and resilience, and to be open to learn and to share constructive thoughts. I think the way in which you help foster this positive culture is largely up to you. I base all that I do on a set of values that I deem most important to me as a coach and that will provide the players in my charge with an enjoyable and enriching environment. I make these known to the players and share my personal objectives for the year. I then invite players to share their own goals and have a team meeting to formulate their performance and dream goals for the season. I don’t think any one way is better than the rest, but I do believe that your style needs to be relayed so the players know what to expect and that building and maintaining a positive culture needs to be a TOTAL effort by everyone involved with the team. Lancaster appears to be one of those types, and it should set up this young and potentially exciting England squad for a good run. Here are some of his own words on how he establishes himself with his team and a glowing review from a former pupil of his, who credits Lancaster’s tutelage for making him the player he now is. 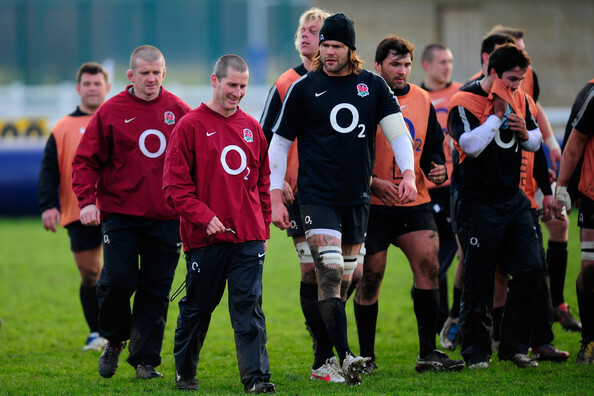 As Vickerman suggests, a good coach such as Stuart Lancaster knows his/her players and genuinely cares about fostering their development. “I feel I know how to build teams. Not having had a playing background of the highest level, you have to earn credibility in a different way as a coach. You have to put on good sessions, be a good manager of people and try to inspire and motivate. I work hard in those areas. You educate players to appreciate the meaning of ‘elite’ “.